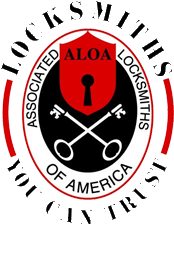 Reasonable Locksmithing provides automotive locksmith products and services for our Montrose LOCKS & LOCKSMITHS clients. We differentiate ourselves from our competitors by providing 24/7 emergency access services. We are always here for you and will remedy the situation immediately. For instance, if you are locked out of your car we can create a new key on the spot in minutes. Moreover, we can handle any ignition jam, no matter how complicated and can even provide transponder programming quickly, and hassle free. Thus, whether you need key or lock repairs, installations, replacements, or programming, Reasonable Locksmithing has got you covered. Below, are just samples of some of the automotive locksmith services we provide for our Montrose LOCKS & LOCKSMITHS clients. Ignition Services: Reasonable Locksmithing provides ignition services such as installations, replacements, repairs, extractions, and key and lock maintenance. Moreover, we provide the fastest and most efficient ignition services on the Montrose LOCKS & LOCKSMITHS market at competitive rates. In addition, we can repair, replace, and install ignition switches, vat keys, key tumblers, locks, transponders, and other ignition systems, and even create duplicate keys in as little as 10 minutes. Car lockout services: If you find yourself locked out of your car at 4:00 in the morning have no fear for Reasonable Locksmithing is here. Our 24/7 emergency lockout service will ensure that you will drive away in your car with a smile on your face in minutes. Any day, any time, Reasonable Locksmithing will answer the call. We can unlock cars of any make or year in only a few minutes. Furthermore, Reasonable Locksmithing also provides car battery charges, replacements, and gas and towing services. Hence, contact Reasonable Locksmithing today for your automotive locksmith needs and we will answer the call and send you on your way in record time.